Safety Track Resilient Medium Non-Skid Tape - Safety Matting | Mats Inc.
Rubberized, textured non-slip is designed for heavy shoe traffic, yet is comfortable enough for bare feet. Provides unparalleled coefficient of friction in both industrial and commercial applications. 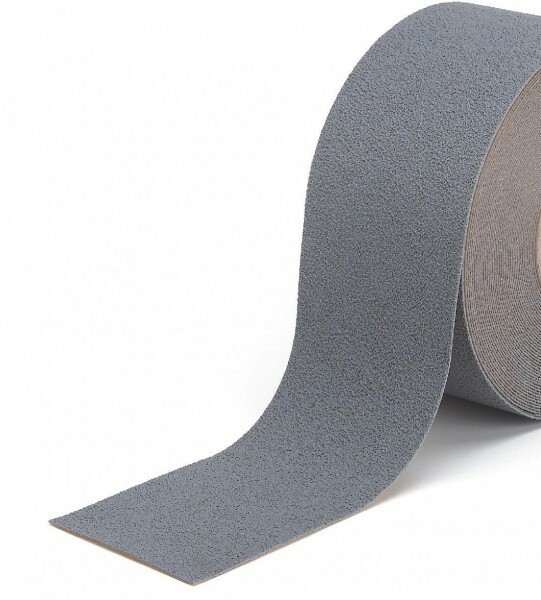 Coated with an aggressive adhesive designed with industrial and commercial applications in mind. National Flooring Safety Institute Certified for "high traction". Available in black or gray. Sold in full cases only.